Rozek Law Offices represents individuals against large corporations and insurance companies. Rozek Law Offices is unique in the sense that they intentionally limit the number of clients they represent at any one time. Many Wisconsin law firms do not limit their caseload and instead do just the opposite. However, Rozek Law Offices limits their representation in two ways. One, they only represent clients that have been involved in certain types of Wisconsin accidents, and two, they only represent clients that have sustained serious Wisconsin injuries. The overall goal of Rozek Law Offices is to do as much good for each individual client as possible. Representing everyone that would like their help is just not possible because it would not allow them to give each of their clients their most dedicated and focused effort. It is their focus on specific types of accident cases, specific types of injuries, and intentionally limiting their caseload, that separates Rozek Law Offices from most other Wisconsin personal injury lawyers. Rozek Law Offices is not the typical personal injury law firm. We do not take every personal injury case that we receive. Each year, our law firm accepts a very limited number of serious injury cases from the people who ask us to represent them. We offer individualized service. We do not allow our paralegals and/or legal assistance to negotiate our cases with insurance companies or liable parties. We take the time to get to know each of our clients well. By limiting the number of active cases, we are able to provide individualized, specialized, and personalized time for you. If your case is accepted, we will provide you with personal attention and aggressively represent you. Together, we will decide on the best strategy for your case. Rozek Law Offices does not solicit to accident victims. We do not send unsolicited mail to individuals who may have been injured in a recent car or other type of accident. Rather, we believe in providing resources and knowledge to those injury victims that want to understand their rights and request such information. Our firm uses the most current technological means to distribute information to the public including a high-tech website, blogs, newsletter, question and answer webinars, social media, and community adds. The most important decision injury victims are faced with following their accident, is their choice of the right lawyer for their case. When you hire Rozek Law Offices, you are hiring Randy Rozek to handle your case from start to finish. As an experienced personal injury lawyer, Randy Rozek is uniquely skilled with expert knowledge of the medicine and of the law. He has a long record of successful outcomes in personal injury cases. He is a respected leader in the field, receiving referrals from former clients, doctors, judges and other lawyers. Randy is also routinely asked to teach other lawyers around the country how to successfully represent personal injury victims. Brain Injuries Car Accidents Rozek Law Offices, S.C.
Rozek Law Offices, SC is located in Milwaukee, Wisconsin. This nationally-recognized law firm specializes in personal injury cases. The attorneys are dedicated to helping you recover damages for your loss. Randy Rozek is a well-respected member and leader in many national legal organizations, with a particular emphasis in the representation of brain injury victims. Along with owning and managing his own Wisconsin personal injury law firm, Randy is Of Counsel to the Brain Injury Law Group a national law firm dedicated to advocating on behalf of traumatic brain injury victims and their families. The representation of brain injury victims can be uniquely challenging and requires a tremendous amount of an attorney's time, patience and resources. It should not be left to an attorney or law firm without a clear understanding of the challenges faced in the representation of brain injury victims. A law firm representing brain injury victims must be willing to limit the number of clients they represent at any one time as it is simply not possible to provide the necessary amount of time, attention and resources to a high number of brain injury victims. Brain injury victims and their attorneys must understand that these cases can be complicated and cannot be handled with one simple telephone call. Randy has experience obtaining settlements and verdicts for brain injury victims across the spectrum, from concussion (mild traumatic brain injury) to coma (severe traumatic brain injury). Randy understands that each brain injury victim is impacted differently by their injury and regardless of the initial severity of the head injury, any type of traumatic brain injury can result in long term disability. Attorney Randy Rozek has devoted his entire professional career to representing individuals against big corporations and insurance companies. Mr. Rozek is licensed in Wisconsin; however, he has handled cases throughout the United States. 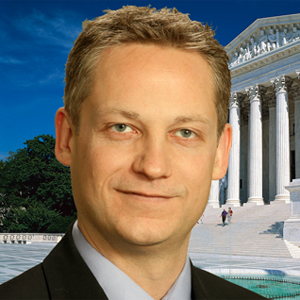 He has successfully represented injury victims from Alaska to Florida. Attorney Rozek graduated from the University of Wisconsin Law School in 1996 and has been representing personal injury victims since that time. In 2004, he founded his own office, Rozek Law Offices, and has focused his practice on the representation of victims of serious, life-changing injuries. Attorney Rozek takes great pride in the opportunity to help his clients rebuild their lives following their unfortunate injuries. Randy has worked with some of the leading experts around the world in fields of medicine and law. He currently serves on the Board of the Traumatic Brain Injury Litigation Group of the American Association for Justice and is the editor of the Journal of Traumatic Brain Injury Litigation.